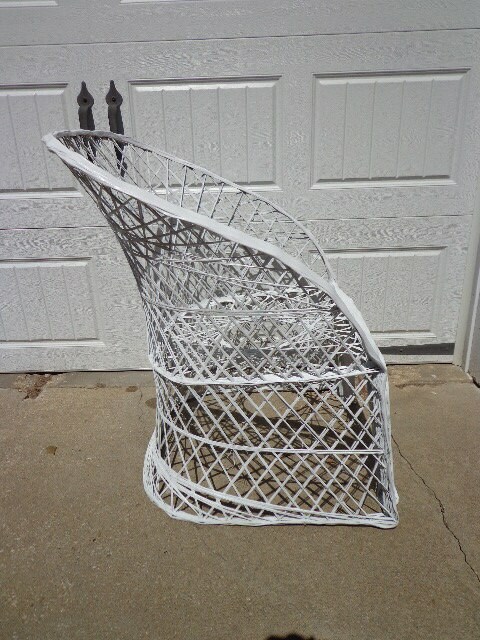 Mid century modern spun fiberglass chair. 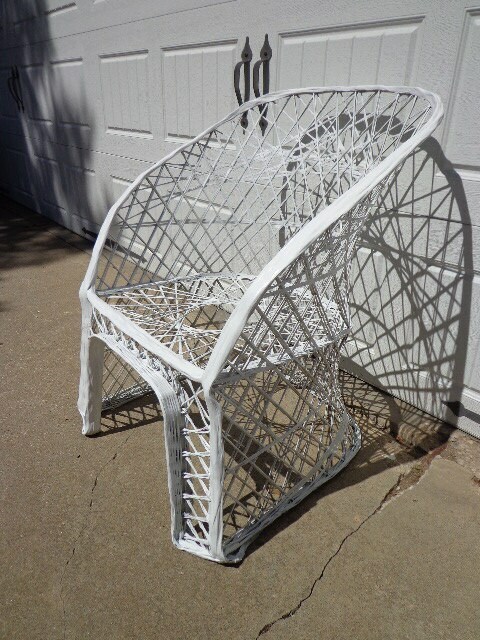 Russell Woodard inspired and perfect armchair for indoor or outdoor use. 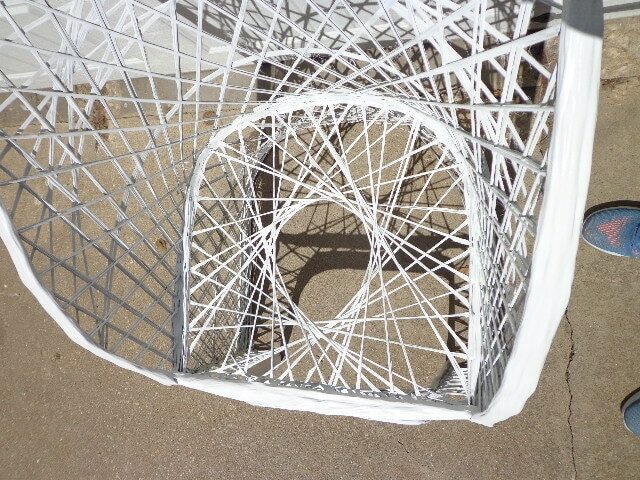 Constructed on thick, highly durable spun fiberglass and painted white. 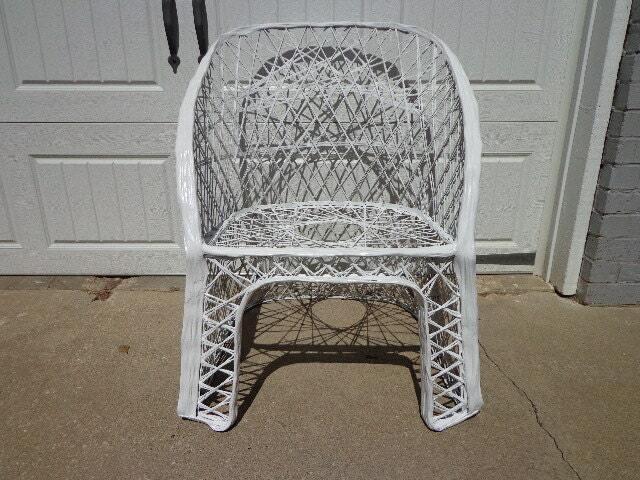 Features a wonderful woven pattern and lounge shape. 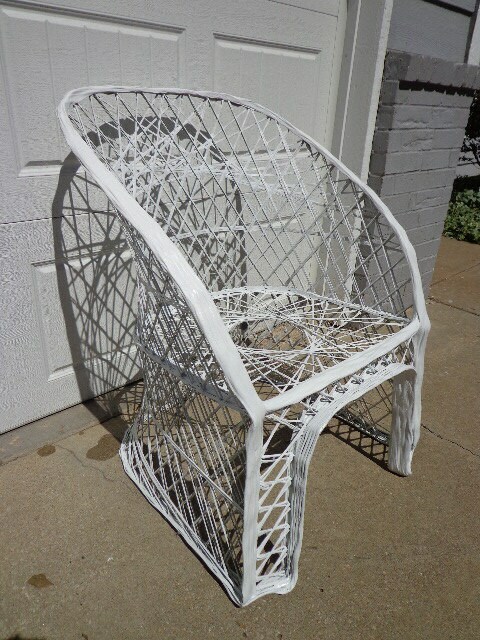 Ideal piece to paint for a whole new look.